When I went home to visit my parents last weekend I found there was a little something different on the produce table at the grocery store. To celebrate Father’s Day we decided to have a little family cook out. Not knowing what everyone wanted, and not wanting to do the shopping alone, my mother waited until I got home to make a trip to the store for supplies. A staple at any of our family cookouts is a giant fruit salad. So, when I headed to the produce table to pick up the usual, I spied a melon that looked rather unusual and decided to give it a try. Meet the Casaba Melon! The casaba melon is a type of muskmelon that is closely related to honeydew melon and the cantaloupe. While it is native to Asia Minor, casaba melons are grown commercially in South America and in the Southwestern United States, particularly California and Arizona. The casaba melon is slightly oval shaped and has a bright yellow rind profusely marked with deep wrinkles. 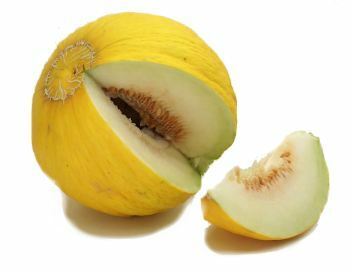 Inside, the flesh of the casaba melon is a light whitish yellow and juicy with mildly sweet, almost cucumber-like flavor. Though closely related, it is not as sweet as a honeydew, nor does it have the musky odor and flavor of the cantaloupes. Casaba melon is an excellent alternative anywhere you would use a cantaloupe or a honeydew melon. Casaba’s are a good source of Vitamin K, Vitamin C and Vitamin B6 as well as potassium and copper. How to pick a good one. There is nothing worse than buying a melon. A good casaba melon will be heavy for its size with a firm, waxy feeling rind. A ripe melon will have a small amount of softness at the stem end. The coloring will be rich yellow with very little green on the skin. Avoid product that is too firm, too soft, has dark blemishes on the skin or is extremely green-colored. Casaba melons are available from California and Arizona from June until October, with the peak in July. 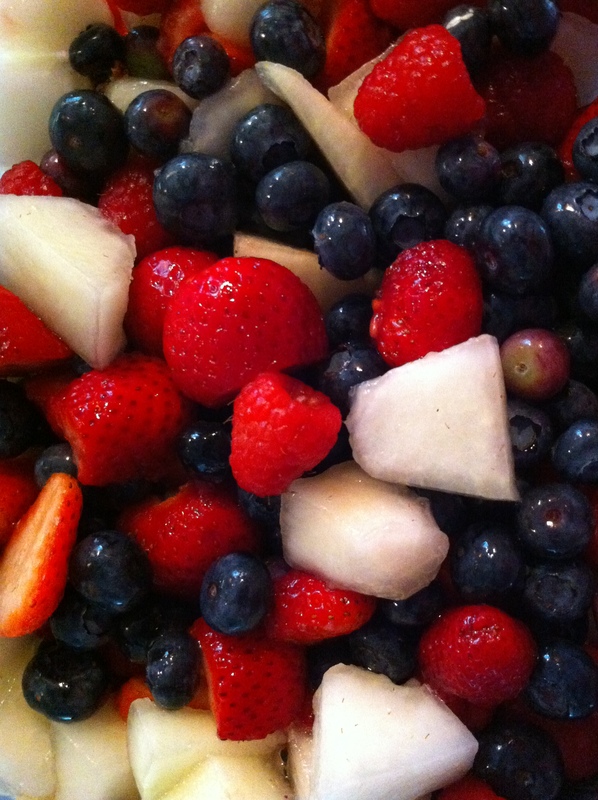 Red, White and Blue Fruit Salad…perfect for the 4th of July! What a beautiful fruit salad. Looks yummy!